I am quite honestly disgusted with this fanbase. I thought it was funny. I laughed! It was a harmless joke, and we’ll get on-set photos eventually. Haha, a well-played prank indeed! And then I learned that Tom had nothing to do with it, and I was a little disappointed in the official Twitter for involving him like that. But oh well, life goes on. I learned that some people, disappointed that they didn’t get their Loki pictures, actually started tweeting hate, spam and even death threats to Tom. In what UNIVERSE is this ever an okay way to behave? It’s ridiculous, disrespectful, and disgusting. Being a fan is supposed to be about supporting the person you’re a fan of, not throwing a tantrum towards them when you don’t get what you want and quite possibly scaring them. He didn’t even have anything to do with it! Plus, we’ll be seeing on-set photos in a few weeks! You are acting this way because you’re forced to wait a few more days to see your precious Loki pictures!? And if that weren’t enough, Tom actually tweeted an apology. He apologized for something he had nothing to do with and had absolutely no control over. No Tom. You do NOT have to apologize for this. You do NOT have to apologize for peoples’ ridiculous overreactions. I can’t believe this is actually happening. I wish I could put this into more eloquent words, but I am seriously ashamed. What was supposed to be a harmless joke has seriously brought out the worst in this fanbase. I am so ashamed and sorry that Tom has to put up with this. I wish he still had his anonymity. I wish he didn’t have to put up with these crazy people because he doesn’t deserve it at all. Tom, I’m sorry. I am so, so sorry. GEEZE GUYS, SERIOUSLY. We have such a sweet human being to adore and some hackaloogie PRANKS US ALL and… PEOPLE ATTACK TOM FOR IT? seriously?! shame on you , you over excited, non-thinking, jumping to conclusion , jerks! and i’m talking about this recent fiasco on twitter where a fan account @Thor2themovie pranked everyone. 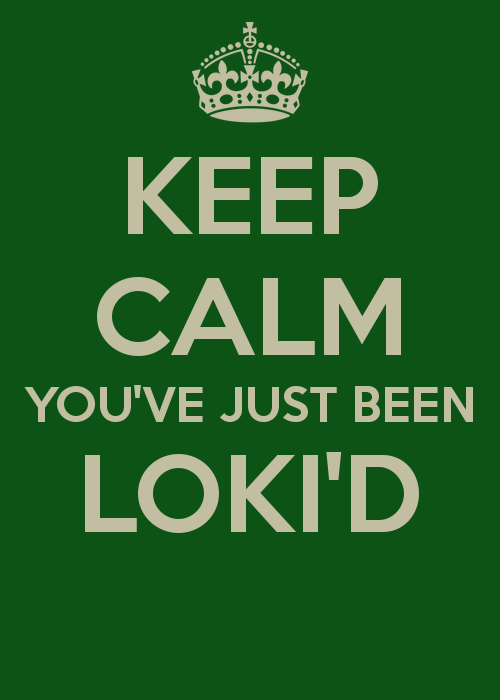 As Loki would say before acting. THINK. PLAN. STUDY. MAKE SURE YOU GOT ALL SIDES OF THE STORY. AND AND AND, LETS SAY TOM DOES PRANK US, why would anyone in their right mind ATTACK him for it? do we forget the subject at hand? a TRICKSTER AND A PRANKSTER. As far as character designs that were practical, he was my favorite one to redesign this time around. [Director] Joss [Whedon] wanted Loki to seem like he travelled to places we don’t know of—he’s changed since we last saw him in “Thor.” The metals on his costume are more worn and scratched, and he’s darker. Because of that, we were able to treat his metal more like actual armor and make it feel like it’s been used. This was the first time we were able to do this with Loki, so it makes him look more authentic since he looks worn and not so brand new. There’s more culture to it. I do like his helmet better this time around too. It’s more aggressive. The horns in the first helmet went straight up and curled around to the back. This time around, I wanted to treat it more like something that came forward towards you first, then tilted back. They’re a bit longer and thinner, which is something to make him look more mischievous and more of who his character is. I felt like I got to play more into what his character is to be shown on his costume. AND IT IS HAVING 503 ERROR. There is no god but Loki. 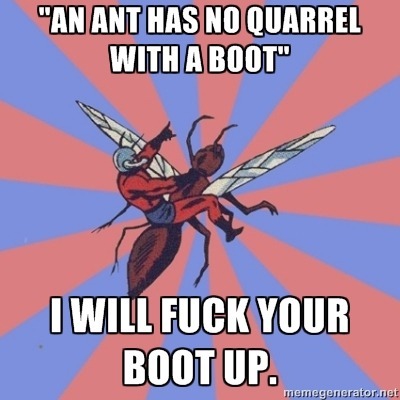 of Ant-man joining the Avengers?